Wait, who’s this handsome gentleman? 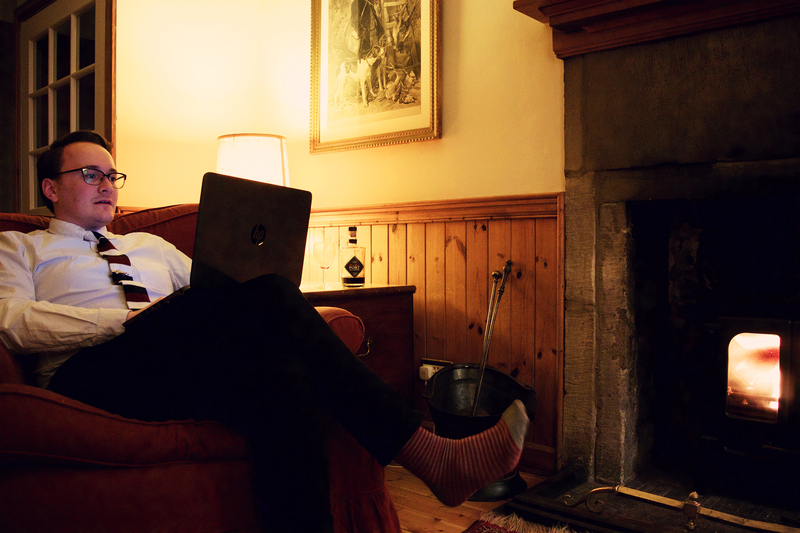 It’s model/blogger Mild Concern, found here in his natural habitat by the fire, typing up his review of the latest Adam Driver film with some port. And as per his normal blogging standards, he’s dressed up for the occasion. Not really. I’d actually just forced him to get dressed up for the purposes of this post. 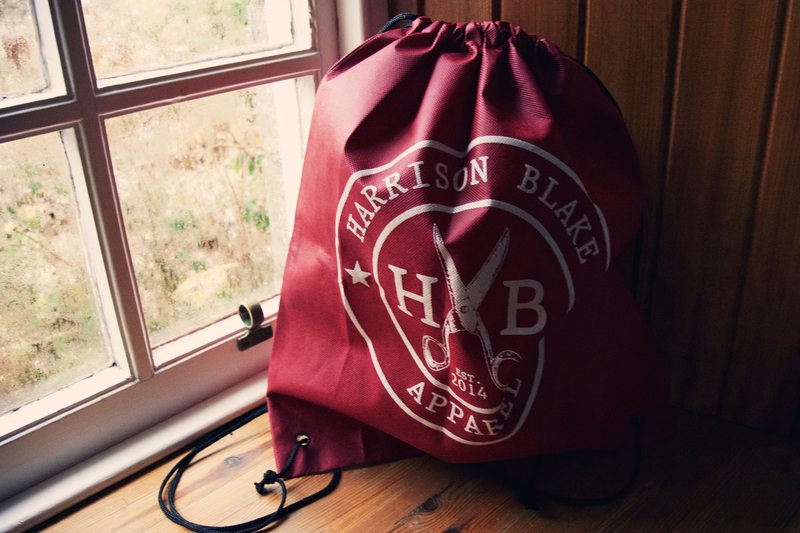 The lovely people at Harrison Blake Apparel Co. contacted me to ask if I’d like to review the contents of one of their monthly subscriptions. For $25 a month, subscribers receive 1 necktie and 4 accessories – pretty reasonable for someone wanting to build up their office wardrobe. Now I’m more of a dress person, so that’s why I coerced Tim into doing a bit of modelling for me on our recent holiday. And as an added bonus for him, he’d get to keep the contents. The star of the box is the tie, and I think is worth the cost of the subscription alone. 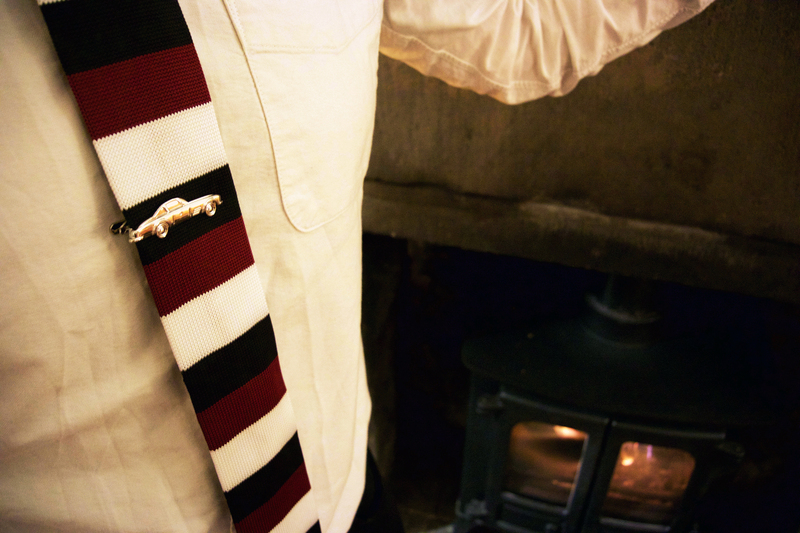 It’s a knitted tie, with squared-off end and suits Tim down to the ground – just quirky enough to not be stuffy. As soon as I opened the parcel, I knew it’d be perfect for him. (Worth $30). 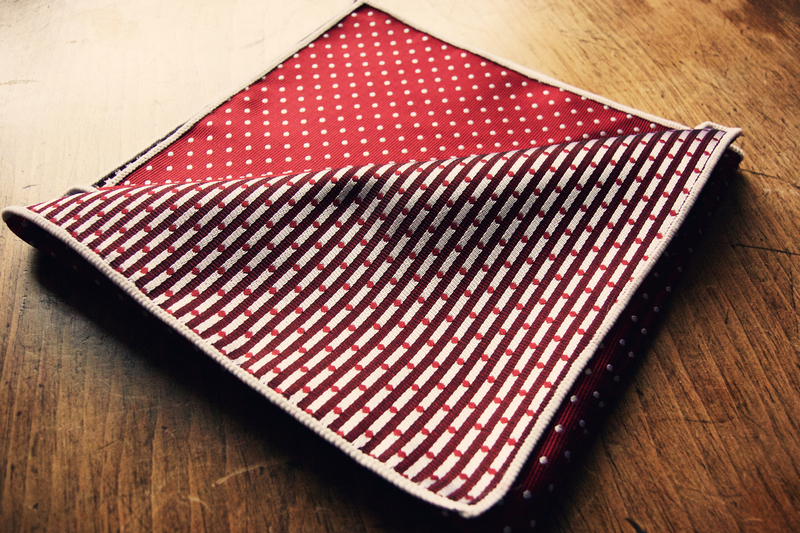 My second favourite item is the pocket square. Very classy, with a different pattern on each side. I very much think that pocket squares need to make a comeback. (This is $15). 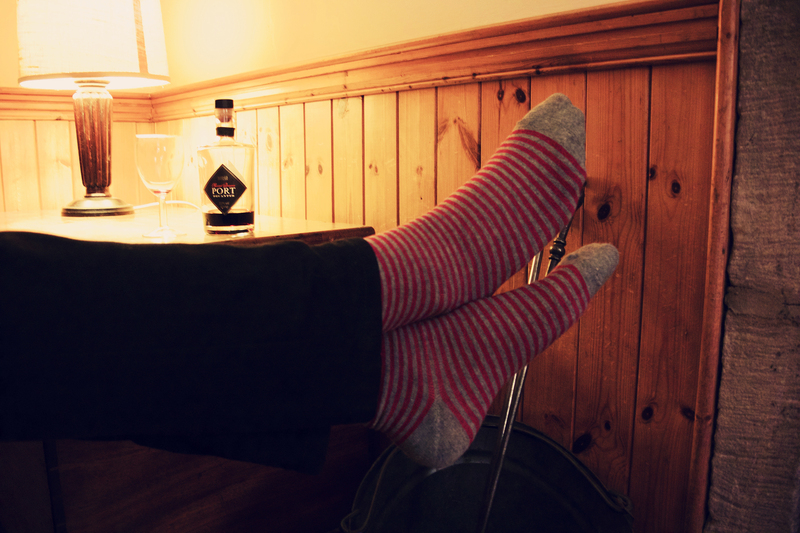 The socks are fairly standard socks – not too scratchy, but Tim was a bit worried that they were a little on the thin side. It’s nice that they matched the tie colours though. (These are $8). Less to Tim’s tastes is the car tie pin, but he is actually going to be getting some use out of it as his Christmas party is apparently Al Capone themed. That’s a bit of luck. (Worth $25). Finally, they’ve added a very practical shoe/tote bag. Handy for carting around as it folds down nice and small. (Worth $6). The total value of the items is $84. Having looked at their previous months, they’re all great but I have to say I’m pretty pleased with this one, and I think Tim is too. I’m sure he’ll wow his colleagues at his party and I look forward to seeing photos. In addition to this subscription, they also have a monthly bow tie club, a store where you can buy a whole load of accessories, and podcast called The Life of a Gentlemen. They offer international shipping too, so it’s time to start refining your wardrobe. These items were were sent to me for the purposes of review, but all words and opinions are my own (and Tim’s).